Watching TV is the common cause of sedentary life style that results to obesity and weight gain. But do you know that this habit can even help you lose weight in so many ways? Yes you heard me right! Watching TV can help motivate you to lose weight and even entertain you while you carry out your boring exercise routine. There are a lot of exercise routines that needs less of your concentration, therefore you can still watch your favorite Television show while you burn your excess calories and fats. All you need to do is jot down the list of exercises and you're good to go! Don't miss any of your favorite TV show. Get ready to lose weight while you’re in front of your T.V! Crunches can help you burn at least 325 calories per hour. This exercise help stimulate weight loss by putting stress on your body thereby making you burn a lot of calories for you get more energy. When you’re in front of your TV you can perform this simple exercise technique on your couch. The positioning won't be a problem since you'll get more space on your couch. You may find this exercise very boring especially if you do not have an iPod on, But if you do it while watching you'll surely have more fun and you wouldn't even notice how fast time flies. Have you tried playing a commercial game to lose weight? If not, I highly recommend that you give it a try! The mechanics of the game is very simple all you need to do is make a list of commercials and tag an exercise routine along with it. Example: Food Commercials = 10 pushups. You'll get the chance to do various exercise routine without skipping out an episode of your favorite TV show. You'll even have more time to rest in while the show is airing. This technique will help you enjoy exercising thereby making you lose a lot weight! Doing the Treadmill is another basic exercise routine that you can perform while watching TV. By placing your treadmill in front of your tube you'll be more entertained while you burn calories and fat. And since you are entertained you'll feel less tired since your focus is on the TV show and not on your timer. Moreover, you can play a movie instead of watching a TV show. It will help you be more hooked and less conscious with the time that you've been spending on your treadmill. Hand weights can help tone your arms while you sit on the couch and enjoy your favorite program. It may not make you sweat a lot unlike heavy duty workouts but it helps you improve your built nonetheless. you can a lot at least one TV program or 30 minutes daily when you perform this exercise, Its best to start with light weight and then proceed with the heavier dumbbells. You can rest in between breaks so your energy can last longer. This Exercise may require you to buy an exercise equipment, however the cost of the equipment is not the high and won't hurt your budget. Compared with the exercise bike that consumes a lot of space and cost much the pedal exerciser is the better choice. If you want to add this exercise on your list, You should be ready to invest with the equipment and that would cost you around $15-50. This wise investment will make exercising easy for you, because the presence of it enables you to exercise anytime you want. Literally, you wouldn't need to miss any episode your favorite ball game, soap opera and latest celebrity gossip show you can now lose weight in front of the TV by pedaling on your couch or chair as you watch your favorite show. Losing weight need not to be complicated. You shouldn't be burdened by it. All you need to learn is how to be creative and make every activity an opportunity to lose weight. Just like watching TV, a habit known to be a contributor to the increasing number of people affected by obesity. If you learn to look at it in a different light you will see that this habit when combined with exercising can help prevent over eating and overindulgence with junks. 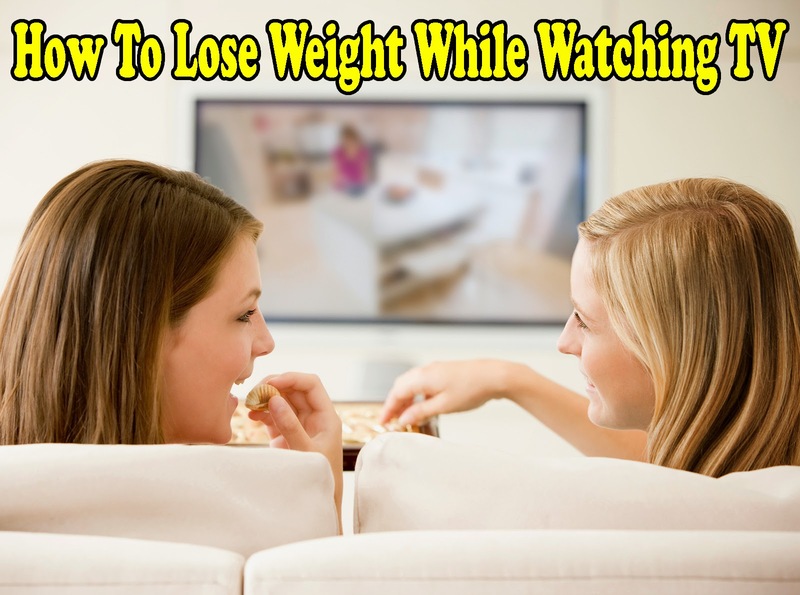 You can definitely lose weight while you watch TV if you convert it into a healthy practice.